Is Your Dog or Cat Safe Under Anesthesia? But important, timely, and one that many pet parents really worry over? In veterinary college very little time was allocated to anesthesia- there is so much to learn, so little time, and the real training and application of anesthetic and surgery comes after you graduate from veterinary school. Then in practice, I found that much of the anesthesia, monitoring, and recovery of your pet after surgery is left to the lay staff. In most cases, things turn out fine. And to be transparent, there have been big advances in veterinary anesthesia knowledge, along with monitoring and the expectations by pet parents that their dogs or cats will be well cared for. But..there are BIG variations in veterinary practice. What you need to do as a concerned pet parent is ASK specific questions. 1.Who performs the anesthesia at the practice? 2.NEVER withhold water- if the clinic staff suggest this prior to surgery, go elsewhere. 3.Food should only be withheld for 12 hours IF your pet is over 4 months of age. For young pets low blood sugar is a big concern, so they should only have food withheld for 4 hours, then offered food after surgery. 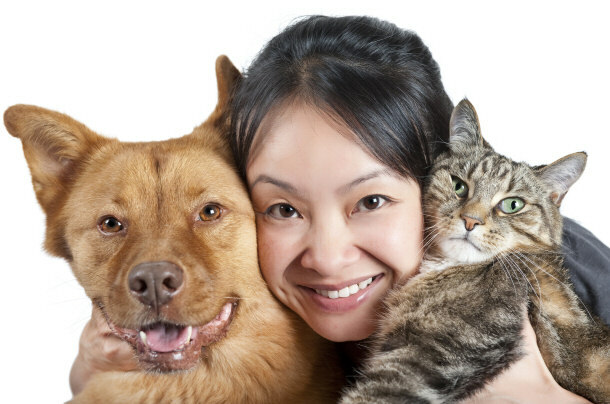 4.Physical Exam- expect that your dog or cat is to be given a pre-surgical physical exam. 5.What do they use for monitoring. Expect blood pressure to be monitored, and pulse oximeter to be used, and that an anesthesia recording sheet is part of the surgery. 6.Do they perform a pre-anesthetic checklist? I have a form at the end of this post they can use. 7.Remember that the MONITORS don’t tell you everything. Your pet needs to be checked for body temperature, that they have adequate blood pressure, that there are no cardiac arrhythmias. 8.Staying WARM. That the practice uses IV fluid warmers, safe heating pads ( ie those that use warm water, not electric heating pads), warmed up saline if flushing body cavities. It is imperative that your dog or cat’s body temperature is NOT allowed to drop. 9.Using great pain control during surgery- such as the use of Ketamine in the IV bag, using a narcotic as part of the pre-medication. If adequate pain control is used, then your pet may require a lower concentration of inhalant anesthetic, making the procedure safer. 10.Pre-oygenate. If your pet is old, has compromised heart, lungs or organs, then by giving them 100% Oygen before they are intubated ensures that they will not go for a period of time without adequate oxygen, making the procedure far safer. 11.Great monitoring AFTER surgery. The procedure is not finished until your pet can comfortably breath on their own in the recovery cage. As an example laryngospasm is common in cats- they can have difficulty breathing after the endotracheal tube is removed. This can be treated, BUT needs to be monitored for. 12.Attaching the monitoring equipment to your pet PRIOR to induction of anesthesia. Your pet may have low blood pressure, or be low in oxygen, and knowing this ahead of time allows the practice to delay or adjust the anesthesia. 13.Choice of anesthesia. ASK what they will use for the first part of anesthesia ( the pre-medication), the induction of anesthesia with the IV injectables, then what type of gas anesthetic is used to maintain anesthesia. 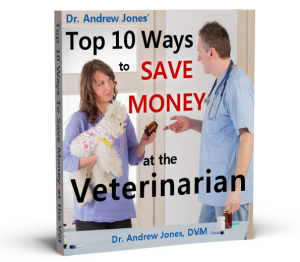 Your pet must be on IV fluids. Induction anesthetic: Ketamine/Valium for healthy, uncompromised patients, Propofol or Aflaxan for older, compromised patients. Aflaxan is a ‘new’ injectable anesthesia drug with less chance of your pet not breathing ( apnea), while being given. Regardless, the key is to give lower calculated percent of the drug initially ( ie 25%) to avoid the apnea. Maintenance anesthesia: Gas anesthesia with Isoflurane following intubation. 1)	It is recommended that a veterinarian or licensed veterinary technician supervise the patient admissions. a)	A properly trained nonprofessional can be quite capable of handling this process but we recommend that a licensed professional be available to assist this individual should questions or concerns arise. 2)	The patient’s medical record should be reviewed for completeness. 3)	A pre-surgical review of the patient’s history should be performed prior to admission. An admission checklist or questionnaire can be a valuable tool to insure a thorough assessment of the patient. An example questionnaire is included at the end of this reference. a)	Food should be withheld for 12 hours prior to admission in normal cats and dogs over age 4 months. i)	For cats and dogs less than 4 months of age, hypoglycemia is a significant concern. (1)	Withholding food for only 4 hours prior to anesthesia helps to minimize this concern. (2)	Offering food within 2 or 3 hours of recovery is also recommended. b)	Any medications or supplements given in the prior 7 days should be recorded and reviewed with a doctor. c)	Any new health concerns should be recorded and reviewed with a doctor. d)	Any previous anesthetic “problems” should be reviewed with owner, recorded and reviewed with a doctor. e)	Pets with histories of excessive stress when kenneled, chewing at stitches or bandages, difficulty restricting activity, or difficulty maintaining pet in clean, dry area during recovery should be noted. f)	Water should not be withheld prior to admission. 4)	Smaller growths should be marked for easy identification. a)	The owner should show the admitting staff member where the growths are, and the staff member should mark them with the owner present. i)	Hair can be clipped at the site or a marker used to identify the site. 5)	An accurate Estimate and Surgical Release Form should be reviewed with, and signed by, the owner. a)	Please be vigilant for owners who may not understand the form or, in fact, may not be able to read the form. i)	A resistance to sign the form may be one indication of this. a)	A current weight must be obtained and recorded on the patient’s anesthetic record. b)	An Emergency Drug Reference Sheet should be immediately accessible for all patients at all times. i)	Some computer systems have an emergency drug component built into the software. If so, a customized reference should be produced for, and kept with, each patient. Alternatively, an emergency drug reference should be immediately available in the event it should be needed. The AAHA library has such a reference sheet if you do not have a current one. c)	An Anesthetic Record should be prepared for each patient. A copy of an example sheet is included at the end of this reference. i)	This examination should be performed by a licensed technician or a staff veterinarian. Each practice should develop their own guidelines as to when the physical examination is to be performed by the doctor and when it can be performed by the technician. Generally speaking, this interval can be longer for younger pets exhibiting no health concerns and it should be shorter when dealing with geriatric and unhealthy patients. (1)	Some States may require this PE be performed by a DVM and may stipulate the timing of this PE. Be familiar with your State requirements. We cannot detail State to State variation in this reference. i)	Excellent – animal with no organic disease or in whom the disease is localized and is causing no systemic disturbance. (1)	example – healthy 3 year old neuter. ii)	Good – animal with mild systemic disturbance which may or may not be associated with the planned procedure. (1)	example – mildly anemic patient, obese patient, geriatric patient. iii)	Fair – animal with moderate systemic disturbance which may or may not be associated with the planned procedure and which usually interferes with normal activity but is not incapacitating. (1)	example – mitral valve insufficiency, moderate anemia. iv)	Poor – animal with extreme systemic disturbances which are incapacitating and are a constant threat to life and seriously interferes with the animal’s normal function. (1)	examples – uncompensated mitral valve insufficiency, severe pneumothorax. v)	Critical – animal presenting in a moribund condition, and is not expected to survive 24 hours with or without surgery. This implies that medical treatment cannot improve the animal’s condition and that surgery is required immediately. (1)	Example – acute, severe intra-abdominal hemorrhage. a)	Pre-anesthetic medication decisions should be discussed with a staff veterinarian. i)	Patients should be provided with an experience that minimizes their stress and anxiety and minimizes their discomfort. ii)	The selection of these medications should be based on the individual needs of the patient as discussed with one of the doctors. (1)	Species, size, age, attitude, and health status should be factored into this decision. (2)	The safety of our staff and the importance of the planned procedure are also important factors to be considered. iii)	The timing of the administration of the pre-anesthetic meditation is also an important consideration. (a)	30 to 45 minutes prior to the induction of anesthesia if given subcutaneously. (c)	It would be ideal to wait until the pre-anesthetic medications have taken effect before placing the patient’s IV catheter. b)	All syringes must be labeled as to their contents. i)	Consider commercial stickers when available. ii)	Use tape and marker as needed. c)	It is preferable to have securely placed an intravenous catheter prior to anesthetic induction. i)	The catheter should normally remain in place until the animal is recovered to a point that no further need for IV medication or fluid support is anticipated. ii)	Due to the fractious nature of some patients, it may be necessary to place the catheter immediately after anesthetic induction and remove the catheter prior to full anesthetic recovery in order to protect the safety of the staff. iii)	In feline patients, the medial femoral vein, just above the tarsus, is an often overlooked site to place a peri-operative catheter. (1)	This site is not as attractive for day to day IV fluid management. d)	Pre-anesthetic fluids may be indicated for optimal patient support. The timing and the length of the fluid administration should involve input from a staff veterinarian. (1)	5 ml/lb/hr (10 ml/kg/hr) is the suggested starting point. (2)	10 ml/lb/hr (20 ml/kg/hr) is the upper limit for general fluid support. (3)	the individual needs of the patient may dramatically alter this fluid rate. (a)	A 5 ml/lb (10 ml/kg) bolus can be useful when Bp drops and needs to be addressed more quickly. This may be repeated once. ii)	IV fluids should be administered through an infusion pump whenever available. (1)	This is especially important for small patients and cardiac patients for whom fluid overload is a much more likely complication. (2)	If an infusion pump is not available, a micro-dripset should be used when administering fluids to patients under 15 pounds or patients requiring more control over fluid rates. iii)	Fluid bag and drip set protocol. 1)	Date all fluid bags and drip sets when first put into service. (2)	Switch IV extension sets between patients. (3)	Always cover the drip set end with a new sterile needle. (4)	Discard fluid bags and drip sets over 1 week old. (a)	Immediately discard any fluid bags that contain cloudy fluid or those suspected to be contaminated. (b)	Immediately discard any drip sets suspected to be contaminated. (5)	A high visibility fluorescent orange label must be used to identify any medications added to a fluid bag. a)	Pre-anesthetic testing is a consideration to allow detection of underlying disorders that may influence the management of the patient or influence the prognosis associated with any given disorder. The decision regarding when to perform preanesthetic tests and which tests to include is a decision that needs to be addressed individually by each practice. b)	There is considerable debate as to the extent and timing of such testing. (1)	Make sure the laboratory results are labeled so as to indicate that they were collected post-premeds if acepromazine has been used.